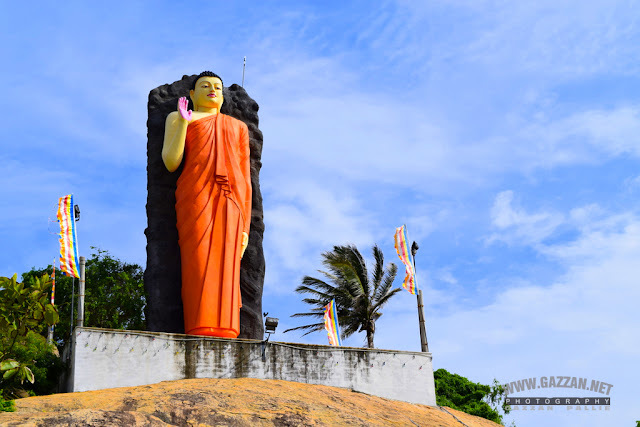 The oldest dagoba in Tissa, the Yatala Wehera is attributed to King Yatala Tissa. It was built some 2,300 hundred years ago and was restored to its former glory in the 1980’s. The façade is off-white, carved out in places to expose the original brickwork of the dagoba. In the courtyard around the dagoba is a statue of Avalokitesvara and an ancient toilet used in the adjacent monastery is found nearby. However, most remarkably, this dagoba is surrounded by what is probably Sri Lanka’s oldest elephant wall. Near this historic site, a small, modern museum contains a collection of some of the most important findings from Ruhuna.